SIDNEY – The Sidney City Schools Hall of Honor will increase membership to 131 on Friday, April 12, 2019. The 26th annual induction ceremony will take place in the Sidney High School Auditorium beginning at 7 p.m. and will be followed by a gymnasium reception, both of which are fully open to the public. The Hall represents alumni, retired employees, and supporters of the school district who have positively impacted the community, excelled in their profession, or contributed to make a lasting impression on the world. 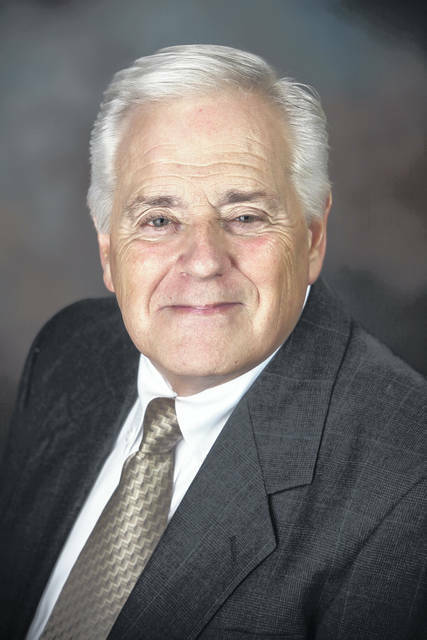 Fellow Hall of Honor inductee Tom Clark wrote Bickel “exhibited outstanding organizational skills and possessed excellent rapport with staff and students.” These skills helped steer learning in Sidney City Schools for over three decades and validate his induction. After earning his bachelor and masters degrees from Bowling Green State University and Wright State University respectively, Bickel started as a teacher for students with developmental disabilities at Whittier Elementary and later became a fourth-grade teacher at the school. In 1975, he embarked upon his career in administration by being named principal at Parkwood and Port Jefferson Elementary Schools. He then settled in as the principal at Emerson Elementary for ten strong years. Tim’s student-first approach and his ability to get all stakeholders moving in the same direction helped earn Emerson a “Hall of Fame School” recognition in 1986 from the Ohio Elementary Administrators Association. Tim continues to work in Sidney today as a lighting specialist with Dickman Supply, where he and his colleagues have helped Dickman achieve DP&L’s Channel Partner of the Year award for ten consecutive years. He and his wife Judy reside in Sidney and have three children, Todd, Aimee and Brett (current Sidney High School history and government teacher). Bickel is the sixth member of the 1967 graduating class to join the Hall of Honor, which also includes classmates William M. Dodd, Chuck Price, Douglas Stewart, Kathy Lindsey and Ardiss Willman Luce. He joins the Hall of Honor with the fellow 2019 induction class including Tom Clark, David Shadoan (SHS 1975), and Taylor Stayton (SHS 2003).